Who's Enforcing Perry's E-Verify Order? State agencies are operating on the honor system when it comes to former Gov. Rick Perry's December mandate that they use E-Verify to screen their workers. Two months after his order, there isn't a state office tasked with enforcement. It's not the federal government or the Texas Workforce Commission. It isn't the state comptroller's office or the state auditor’s office, either. To date, there is no office charged with enforcing former Gov. Rick Perry's December executive order requiring state agencies and agency contractors to use E-Verify, the electronic employment verification system that certifies workers are in the country legally. Legislation under consideration at the Capitol would change that — if it passes. State Rep. Tony Dale, R-Cedar Park, has filed a bill that would put the Texas Workforce Commission in charge of E-Verify enforcement. The measure must still make its way through the legislative process. And there's no indication that agencies aren't cooperating already. Officials with the Texas Facilities Commission and the Texas Department of Transportation, for example, said they have implemented the policy without any problem. So has the Texas Workforce Commission. But for now, officials with the state departments that seem likely contenders for enforcement say they don’t play a role. The federal government has no enforcement power, either. And a Perry aide said the question of who's responsible should be directed to the office of his successor, Republican Gov. Greg Abbott. 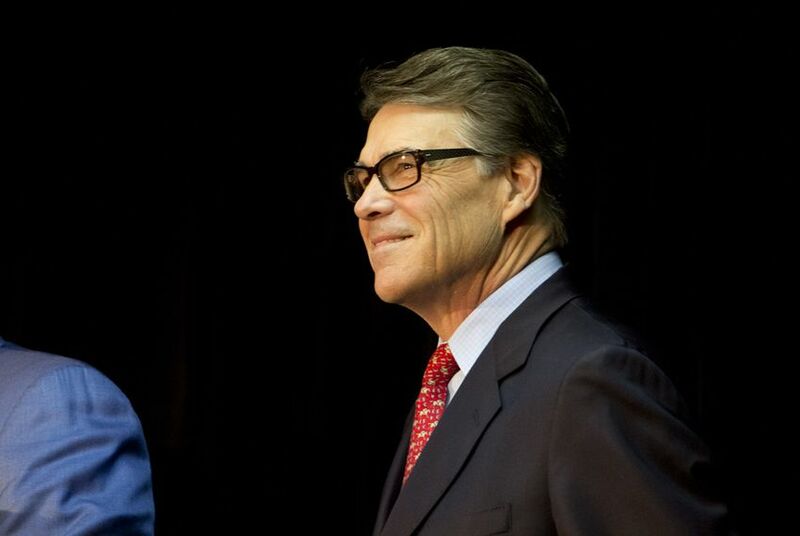 When asked about Perry's mandate, a spokeswoman referred to Abbott's campaign literature, where he endorsed making E-Verify mandatory for state agencies. But Abbott's office said any decision on how to enforce the E-Verify mandate should come from lawmakers, not the governor's office. “Gov. Abbott will work with the Legislature to determine how best to implement his plan and ensure compliance by the agencies,” Abbott spokeswoman Cait Meisenheimer wrote in an email. Dale, the author of the Workforce Commission enforcement bill, said he was surprised that Perry’s order wasn’t clear on who was meant to enforce the mandate. “I tried to find an agency that’s relevant related to employment, and that seemed to be the logical choice,” Dale said of the Workforce Commission. “I think that’s why, even though there’s an executive order, you still want to move forward with legislation." Meanwhile, there appears to be some lingering confusion over what agencies must use E-Verify for. While Perry’s order requires “all agencies under the direction of the governor to verify the employment eligibility of all current and prospective agency employees," officials with the Texas Department of Transportation, one of the state’s largest employers, said the agency is only screening new hires. “By order of the governor, the Texas Department of Transportation uses E-Verify for each new hire made by the agency,” spokeswoman Becky Ozuna said in an email. “TxDOT also has implemented procedures to require prospective contractors to use the E-Verify system during the term of every state contract for services."